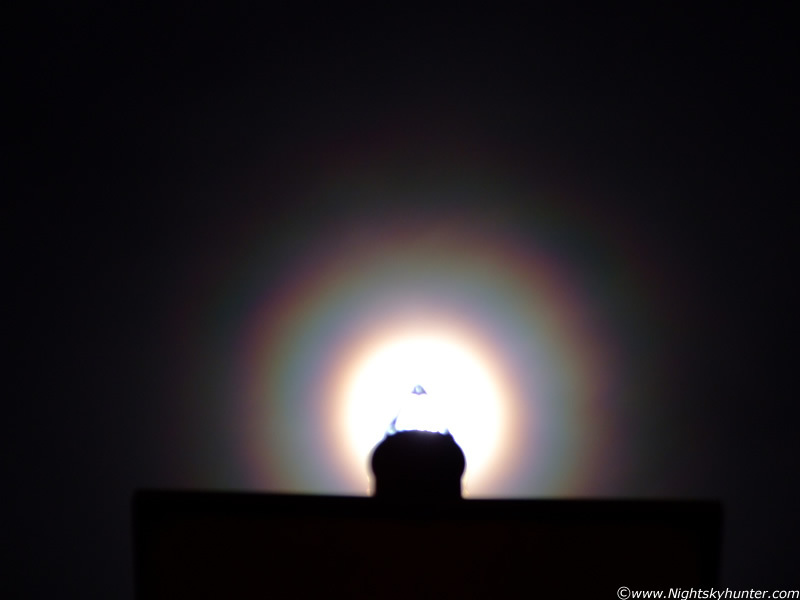 A well defined lunar corona high in the eastern sky on the evening of January 7th 2009. At this moment in time the Moon was in Taurus and in the process of occulting the Pleiades (M45) star cluster. Since there was an abundance of water droplets in the atmosphere this beautiful corona with intense colours formed. I took this image with a 300mm lens at ISO 100 for several seconds at F/5.0. I used my neighbour's chimney top to block the glare of the Moon itself. Captured from my back garden in Maghera, N. Ireland. This is one of three images from this session.